The French Camino de Santiago and the Via de la Plata originated from Roman roads that connected Asturica Augusta with the rest of the Iberian Peninsula and with Rome itself. With the discovery of the tomb of the Apostle James, these ancient Roman roads became pilgrimage routes, thus creating paths that linked Astorga with Europe, which allowed Astorga to be reached by pilgrims and along with their life experiences the various cultural and artistic influences that were shaping the identity and heritage of this open and welcoming city. 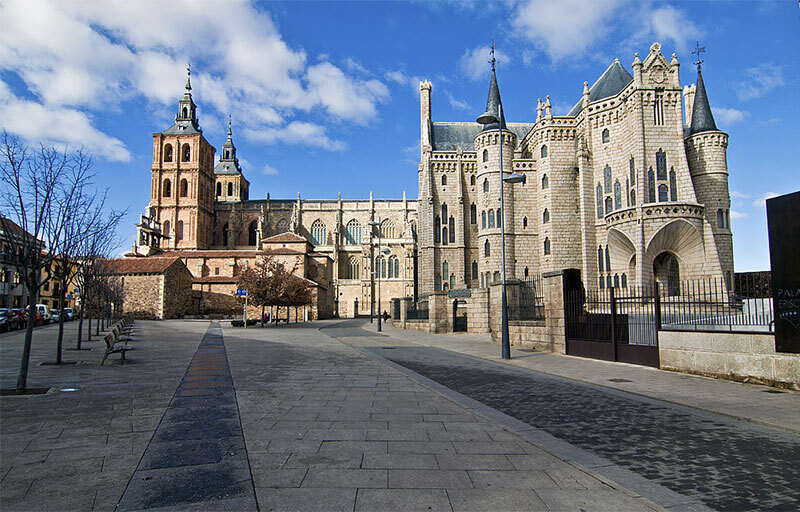 Since the 9th century Astorga has been very closely linked to the Camino de Santiago, the city in entered through Puerta Sol and runs through the entire urban center to finally exit through Puerta Obispo. 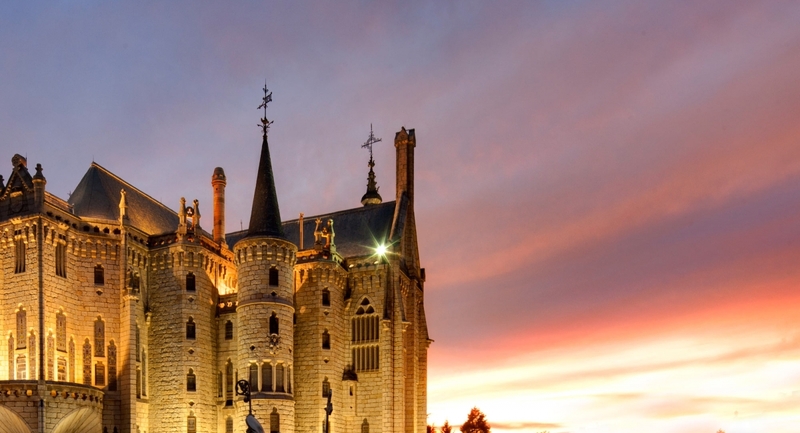 The Camino de Santiago, on its way through Astorga, is marked by the main monuments and charming places of the historical center of the city. The pilgrims are welcomed by the walker’s landmark in Puerta Sol. The Chapel Museum of the brotherhood of Santa Vera Cruz and Confalón, exhibits brotherhood’s excellent processional imagery during Holy Week and summer months. 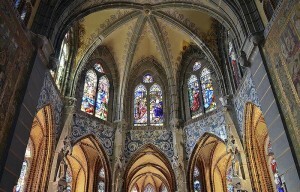 Here is the church of San Francisco and the convent of the Redemptorist Fathers that partially conserves its original Gothic traces. 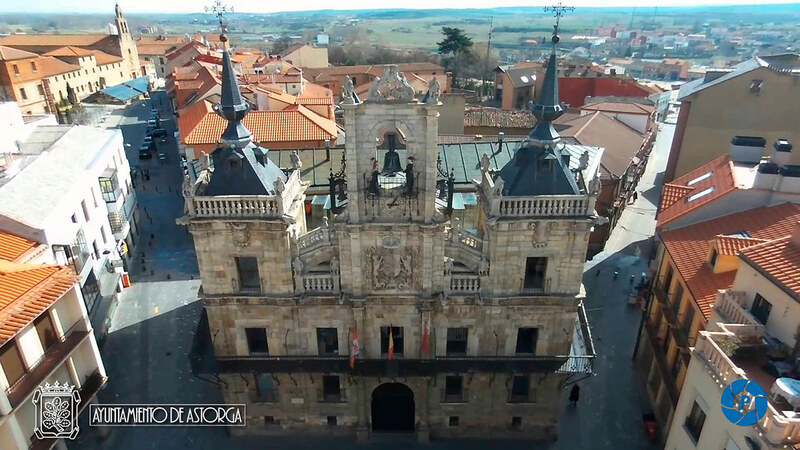 Beside it and as an example of Astorga’s rich heritage, the remains of Domus del Mosaico del Oso and Pájaros are located, a luxurious dwelling of the first century where a magnificent mosaic of the end of the second century can be seen. A little further on we arrive at the Roman Museum, where the archaeological collections are housed in the excavations carried out in Astorga and the surrounding area, entering the museum it is also possible to visit the Ergástula, which was part of an important religious building located in the Roman Forum. Town Hall and the Plaza Mayor are found just behind the Roman Museum. Town Hall building belongs to the seventeenth century and has a unique baroque style decoration, standing out as a unique feature the automatons figures of Juan Zancuda and Colasa in bell of the clock, a nice couple of maragatos dressed in the typical regional dress that, since 1748, at each hour sharp move telling time on the clock bell. Following the path through the streets of the center of Astorga, we cross the commercial area to reach Plaza Eduardo de Castro, there we will find the unparalleled Episcopal Palace, the work of the architect Antonio Gaudí, which houses the Museum of Caminos, with an entire building floor dedicated to the French Camino de Santiago and the Via de la Plata. At its side is the Cathedral of Santa Maria is located, the city’s most striking example of religious art, being the combination of four styles of religious art in the same building at the same time the special feature: Gothic, Renaissance, Baroque and Neoclassical. 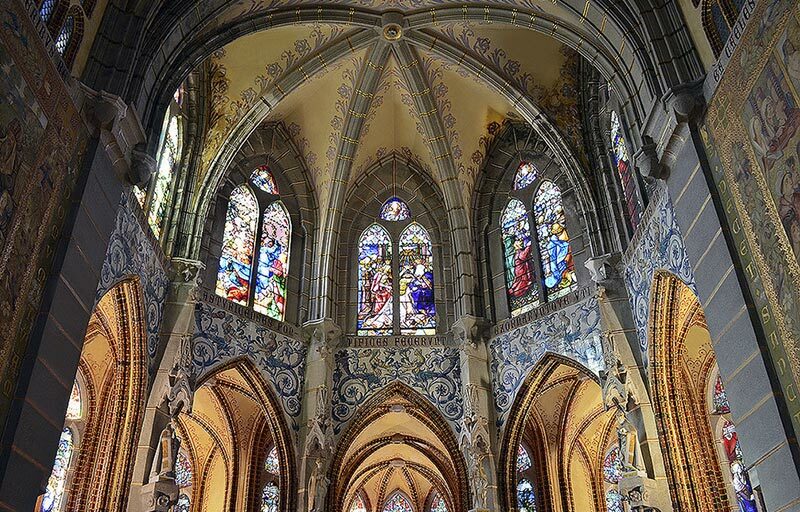 The Cathedral Museum exhibits a magnificent collection of religious art. 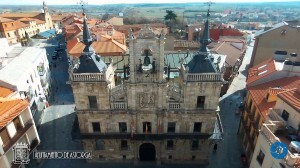 Next to the entrance to this museum we can see the unique neoclassical facade of the hospital of San Juan Bautista, old hospital of pilgrims that witnesses the secular importance of the camino in the city. Following the camino route through the historical center of Astorga, we continue down Calle de Leopoldo Panero, where the poet’s house is located and now used as a cultural center. Through the now-lost Puerta del Obispo, the camino leaves the walled city center and continues towards the Rectivía neighborhood, to pass next to the parish church of that neighborhood, which presents a facade full of interesting contemporary mosaics. After crossing the VI national road, the road enters the region of Maragatería, where we will continue discovering places with charm, beautiful landscapes and unique experiences. The Roman road that linked Merida with Astorga later became one of the main communication routes between the south and north of the Iberian Peninsula, and was also used for centuries as a seasonal migration route. Nowadays, given the rich archaeological and monumental heritage located throughout its entire journey, Via de la Plata has the double function of pilgrimage route towards Santiago de Compostela, because in Astorga it is precisely where the French Camino de Santiado meets the Via de la Plata and a of cultural touristic route.